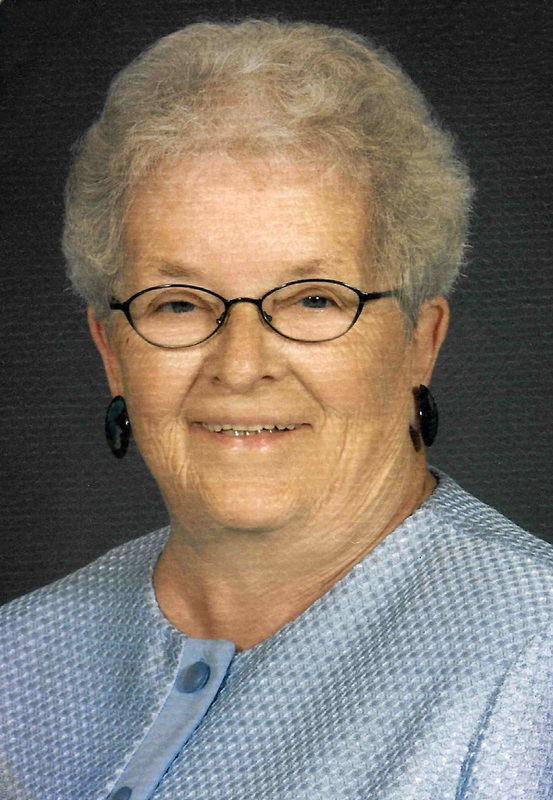 Daisy Marie (Barkyoumb) Collins, 80, passed away peacefully on Wednesday October 25, 2017 at Northwestern Medical Center in St. Albans. She was born in Fairfax on May 19, 1937 daughter of the late Edmond and Inez (Evans) Barkyoumb. Having been a lifelong resident of Fairfax, Daisy had touched the lives of many in the community. She was a member of the Fairfax Rescue as an EMT for 13 years, she drove a school bus for the Town of Fairfax for 6 years and she was the first face you would see at A W Rich Funeral Home for over 20 years. Daisy also enjoyed crocheting, cross stitching and making quilts for her children and grandchildren. Daisy will be greatly missed by her family and those whose lives she touched. Daisy is survived by her loving husband of 63 years Thomas Collins of Fairfax, 5 children Timothy Collins, Craig and wife Barbara, Nancy Adams all of Fairfax, James and wife Cheryl and Sharon Powell all of Michigan, her brother William Barkyoumb and wife Susie of Michigan, 2 sisters, Florence Swick of Nevada, Rosalie and husband James Austin of Virginia, 8 grandchildren, 9 great grandchildren, 2 great-great grandchildren many nieces, nephews and cousins. She was also predeceased by her brother Walden Barkyoumb, her sisters Elizabeth Barkyoumb and Anita Irish. Visiting hours will be held on Sunday October 29, 2017 from 3:00 – 7:00 p.m. at A W Rich Funeral Home – Fairfax Chapel. A Mass of Christian Burial will be celebrated on Monday October 30, 2017 at 11:00 a.m. at St. Luke Catholic Church with Reverend Henry Furman officiating. Burial will follow in the family lot in St. Luke Cemetery. Memorial contributions in Daisy’s memory may be made to Fairfax Rescue, P.O. Box 428, Fairfax, VT 05454. The family invites you to share your memories and condolences by visiting www.awrfh.com.